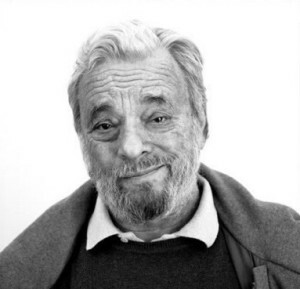 I have introduced Stephen Sondheim in my blog article ‘Stephen Sondheim on Songwriting (1)‘. This piece is a set of notes that I made on the book: Mark Eden Horowitz (2010) Sondheim on Music: Minor Details and Major Decisions (2nd edition), Scarecrow Press. The book is a transcript of interviews about Sondheim’s musicals and shows. Sondheim talks not just about songwriting, but about the larger task of writing a whole show, the relationship to performers and other musicians, and also what a songwriter can learn from audiences. 50 How do you develop, mature or find your voice? Keep writing. 78 The audience doesn’t need to like something; don’t pander to them. But they do need to ‘get’ it. For example, the first night of ‘West Side Story’ a man walked out in the opening number, because it was clear what the show was. 180 “George Kaufman [playwright, producer, director, critic] said: “Take out the improvements.” Take out everything that isn’t necessary. 240 “The important thing with me with an audience is to be a little bit ahead of them. If they’re a little bit ahead of you, they tend to get bored. 242 West Side Story has dated language, but can’t update because the music wouldn’t fit it.